Do YouTube Videos Need to Be Short? Not Necessarily. Common wisdom has held for some time that YouTube videos need to be brief, generally less than three minutes, because of short attention spans online, bandwidth constraints, and other factors. Now that the platform has evolved and high-speed Internet access is common, does this guidance still hold true? Not necessarily. A growing body of research shows that viewers are increasingly open to longer videos, and have even come to expect them. A study by Columbia College Chicago examined the top 100 YouTube channels and found the median video length was 4:19 minutes and the average video length was 6:29 minutes. However, these numbers varied significantly by vertical. The median length for a comedy video was just 3:25 minutes, while vlogs (4:59) and fashion/beauty videos (7:32) were longer. Gaming videos were the longest, with the median length coming in at 9:36. Why the large variations? Because viewers of certain genres are increasingly watching very long videos, including makeup tutorials and gameplay recaps that often stretch well over thirty minutes. Beyond these specific verticals, many other successful recent videos on the platform can no longer be considered “short form”—including these in-depth VICE documentaries and a lengthy scripted series by FreddieW. The success of longer videos isn’t just a trend with organic content. An analysis of the 50 most-shared global video ads of 2012 by Unruly Media found the average length of the top ten was 4:11 minutes. Interestingly, as this post by ReelSEO points out, these ten were some of the longest ads of the year, and shorter ads actually attracted fewer shares. Does this mean that all YouTube videos should be long? No, but it does indicate that publishers shouldn’t feel bound by traditional length guidelines. Instead, they should feel free to post longer videos, especially if they’re creating content in verticals where viewers expect lengthier pieces. 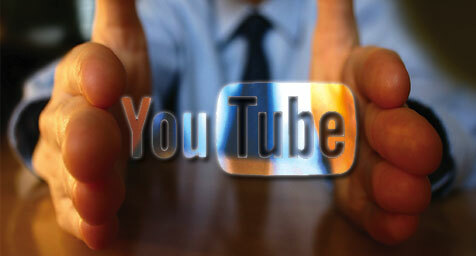 Leverage YouTube video advertising to boost your brand’s marketing results. Contact MDG Advertising today at 561-338-7797 or visit mdgadvertising.com.